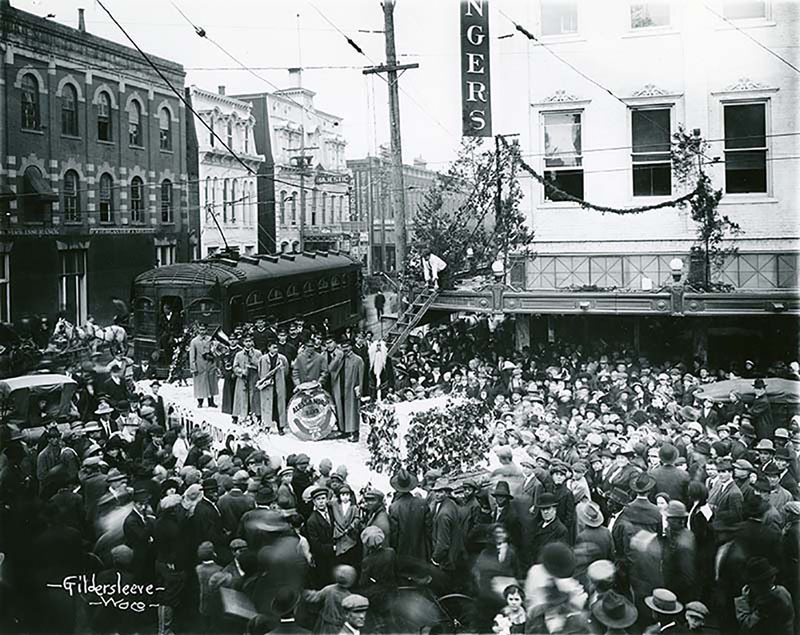 Waco was a city on the move at the turn of the twentieth century, and its run into modernity was aided by the advent of the interurban electric railway. 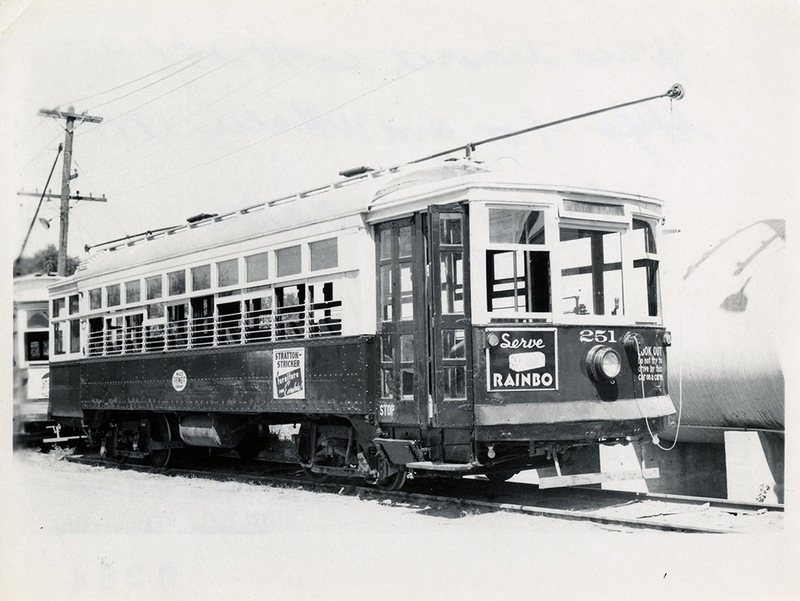 Although Waco had other forms of mass transit since the days of the stagecoach, with first mule-hauled and then electrically-powered streetcars, it was the Texas Electric Railway that ultimately inherited the early rights-of-way to do business in the city, though several transit firms vied for traffic in its early days. Citizen’s Railway Company, formed in 1877, used eighteen mule-drawn cars, and ten electric ones after 1891, to get commuters and shoppers where they needed to go until 1912. 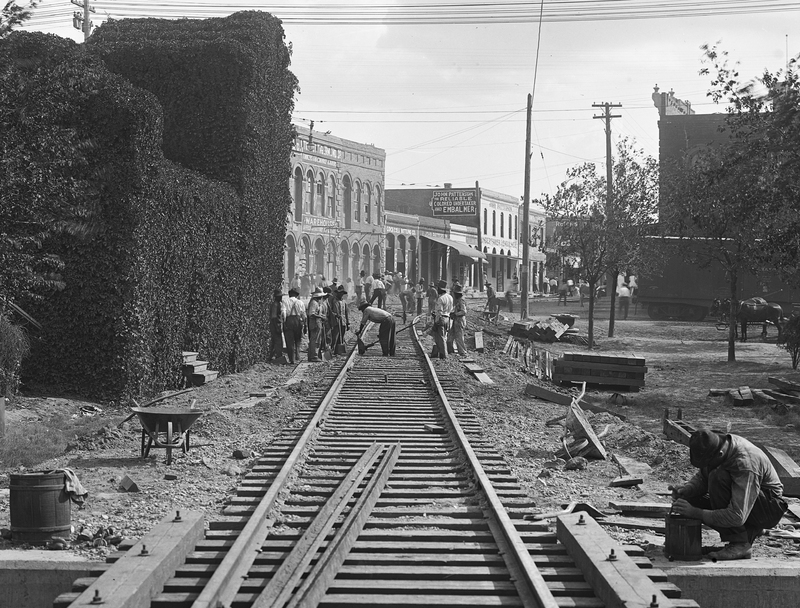 Southern Traction Company succeeded it, reconstructing tracks and adding extensions. 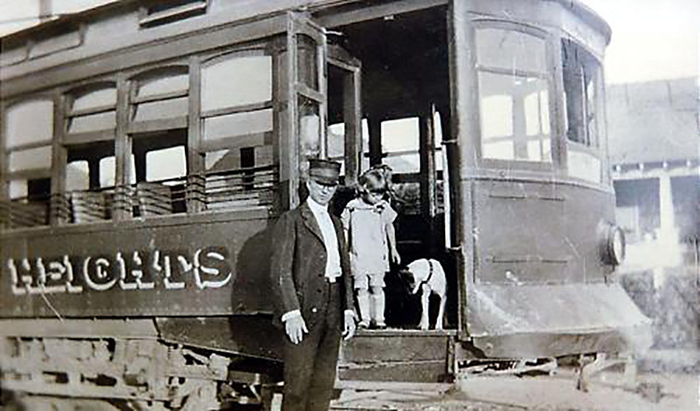 Additionally, a streetcar company named Huaco Heights leased equipment from Citizen’s Railway Company and operated from 1913 to 1918, servicing the Huaco Heights real estate development. It took John Frank Strickland, a man of vision and drive, to pull together the diverse elements to craft an efficient system. Strickland traveled to Texas by wagon train in 1878 from his native Alabama. He later went on to create the largest interurban rail system in the Southwest, with more than two hundred miles of track connecting commercial and cultural centers throughout the state. Working his way up through plowing, cotton ginning, and then the grocery trade, Strickland became involved in electric power generation in Waxahachie in 1892. He later served as president of companies such as Texas Power & Light and Dallas Power & Light, positions he held until his death. Strickland and partners saw construction of interurban railroads as a complementary function of their power companies, and in 1908, a Strickland company began interurban service from Dallas to Sherman. By 1911, Texas Traction operated seventy-seven miles of track from Dallas and Denison as well as local lines in Sherman, Denison, and McKinney. 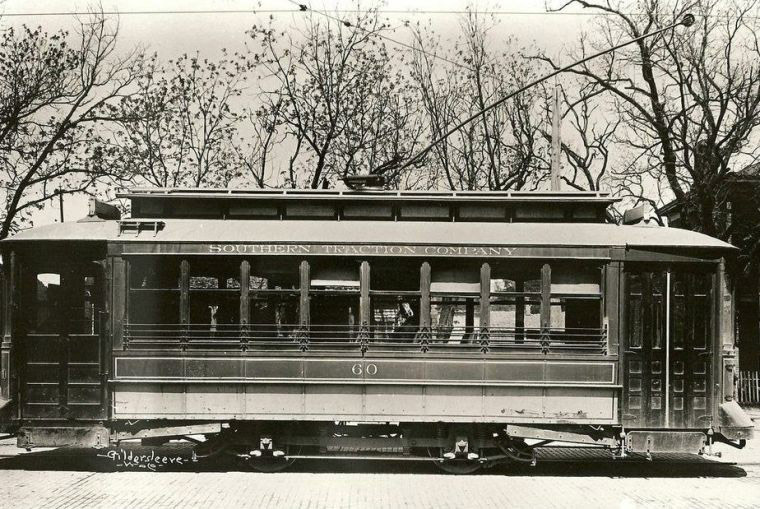 In 1912, interurban transportation from Dallas to Waxahachie began. 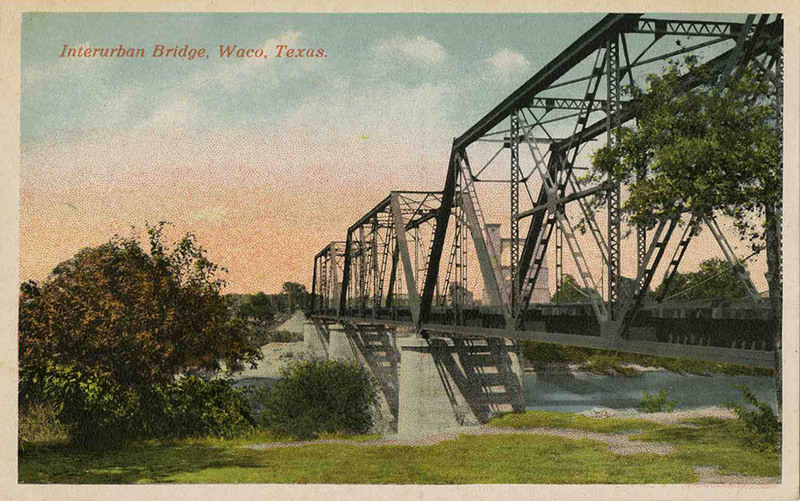 The company extended the line to Waco in October of 1913, and absorbed streetcar lines in Waxahachie and Waco. On New Year’s Day in 1917, Strickland merged Southern Traction Company and Texas Traction Company to create the Texas Electric Railway Company. The rail also served as the right-of-way for the electric power lines. Area drugstores and hotel lobbies sold tickets, offering different rates for children, clergy, and “excursion” groups. As ridership soared and business boomed, Strickland also won a postal contract to transport US mail, and employed a clerk to sort the letters and packages along the way. The system’s usage peaked around 1920, when some 819,000 passengers rode the rails. The interurban’s decline began during the Great Depression, and the line started taking freight to make up for the loss of passenger revenue. Business rallied again during World War II, when gasoline shortages and rationing of rubber made rail travel more attractive than driving. But after the war, the lure of private-car ownership and the development of better roads led to the system’s decline. 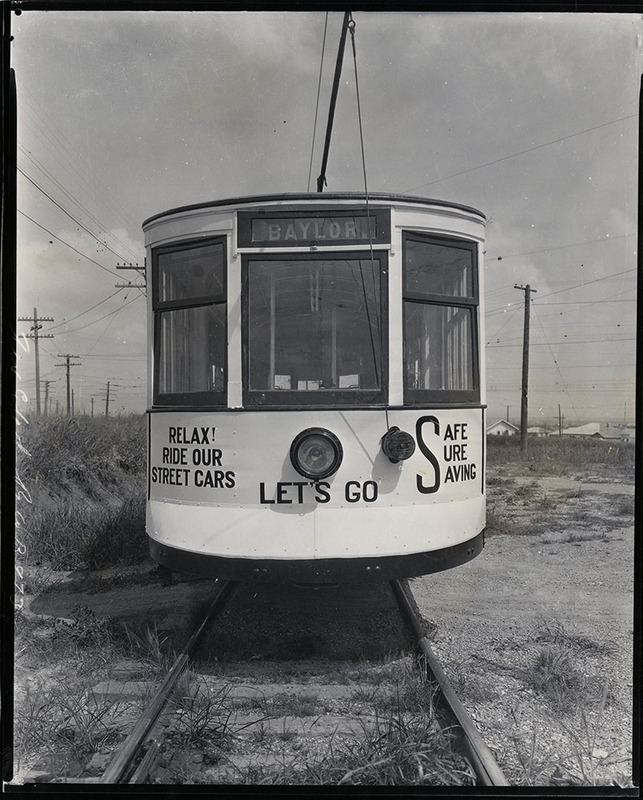 The streetcar operations of Texas Electric Railway were sold to Waco Transit Company in 1946. 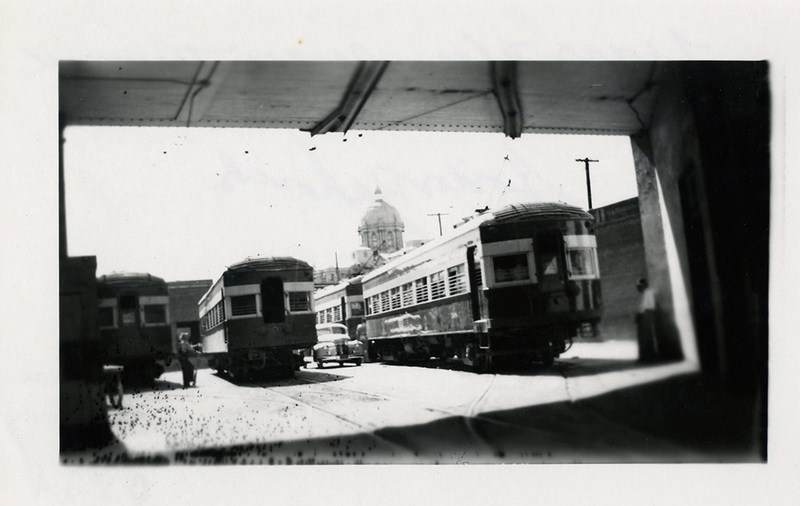 As part of that sale, the streetcar continued to run from downtown to East Waco along the Texas Electric’s city track. 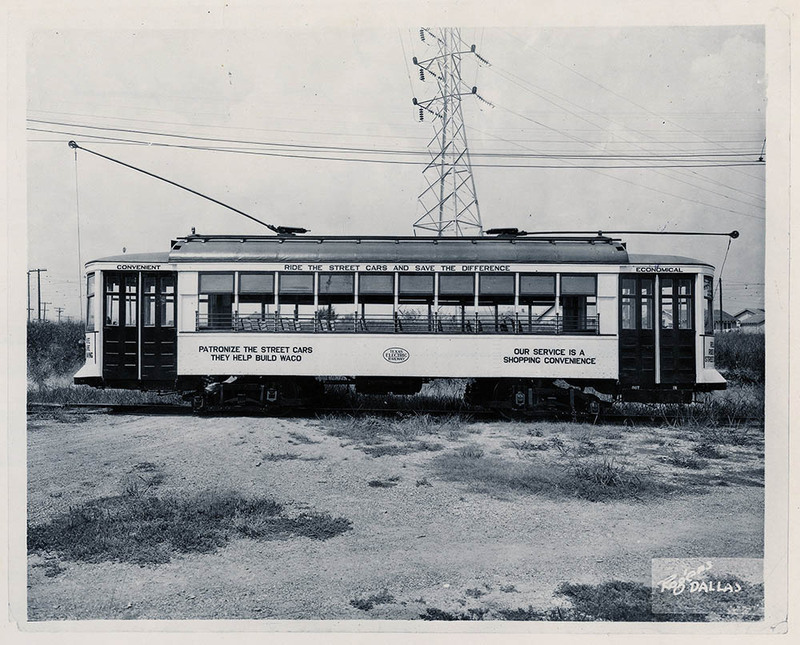 But streetcar service ended when Texas Electric Railway ceased operations on December 31, 1948. Commuter service lasted for another year by the Texas Electric Bus System before being entirely phased out. Within days of the company’s closure, workers began pulling up tracks and taking down copper wire to sell off the assets and liquidate. Remnants of the interurban railway remain visible in downtown Waco today. Pylons which once supported the interurban bridge as it spanned the Brazos River (noted on the Waco History map) offer a constant reminder of the interurban’s legacy of providing citizens with a convenient and economical means of transportation both throughout the city and the state. 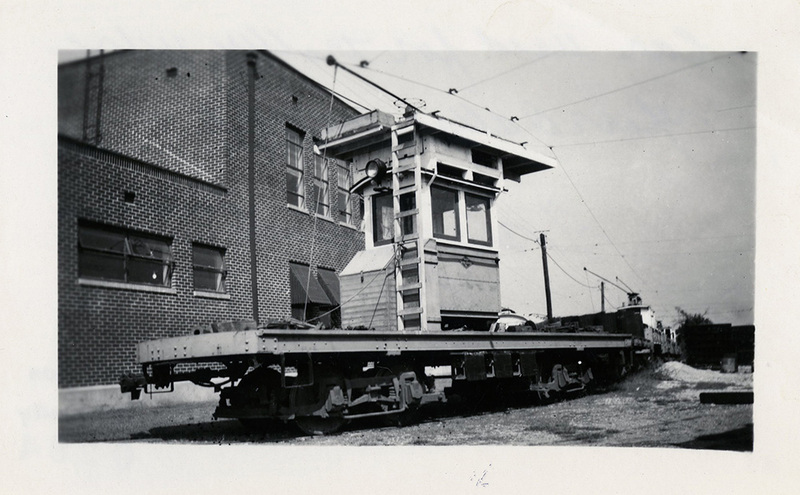 Terri Jo Ryan, “Interurban Railway,” Waco History, accessed April 19, 2019, https://wacohistory.org/items/show/117. A version of this article originally appeared in the “Brazos Past” column of the Waco Tribune-Herald.Ryan, Terri Jo. 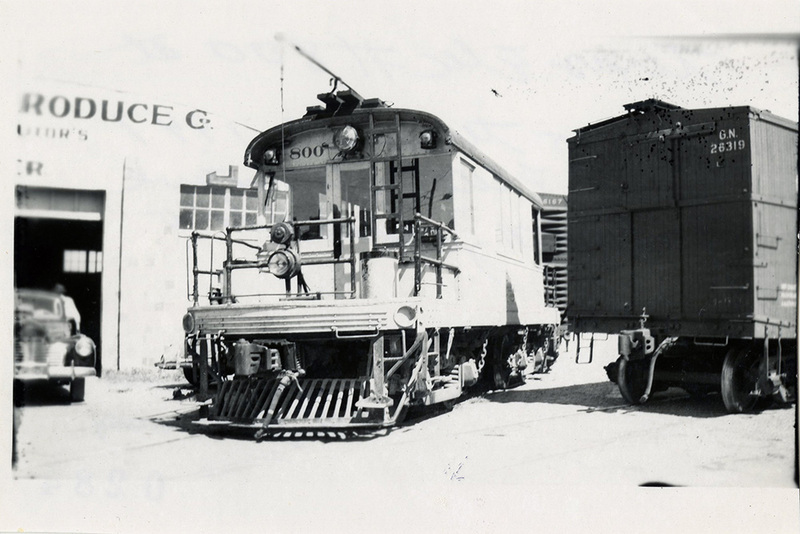 “Texas Electric Railway Brought Mass Transit to Waco.” Waco Tribune-Herald. August 24, 2013.